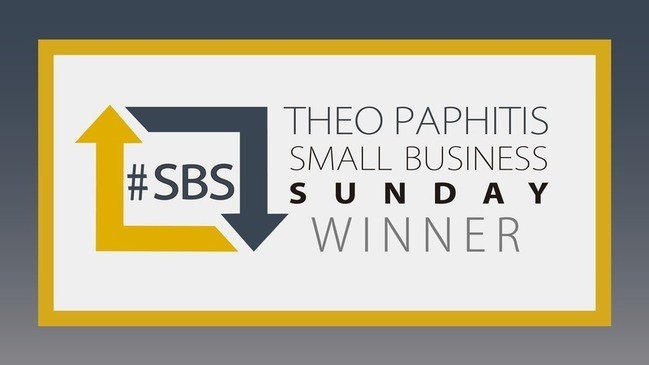 Theo Paphitis by tweeting him about their business using the hashtag #SBS (Small Business Sunday). I have tweeted Theo a few times off and on and have seen people I know via twitter win. flooding in. 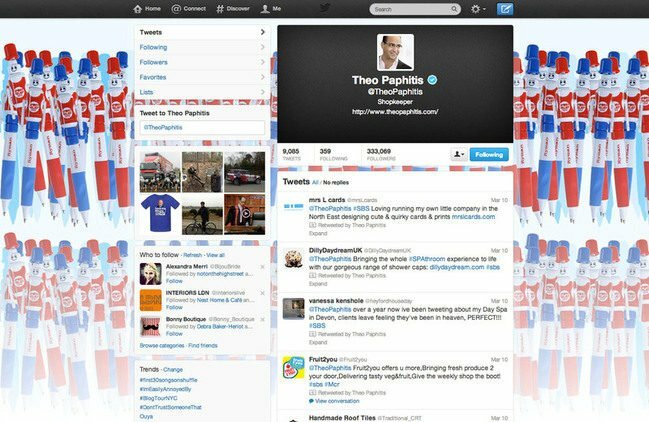 I then saw the Theo retweet. A retweet to over 300,000 followers. particularly trying week so this was a brilliant way to start the new week. 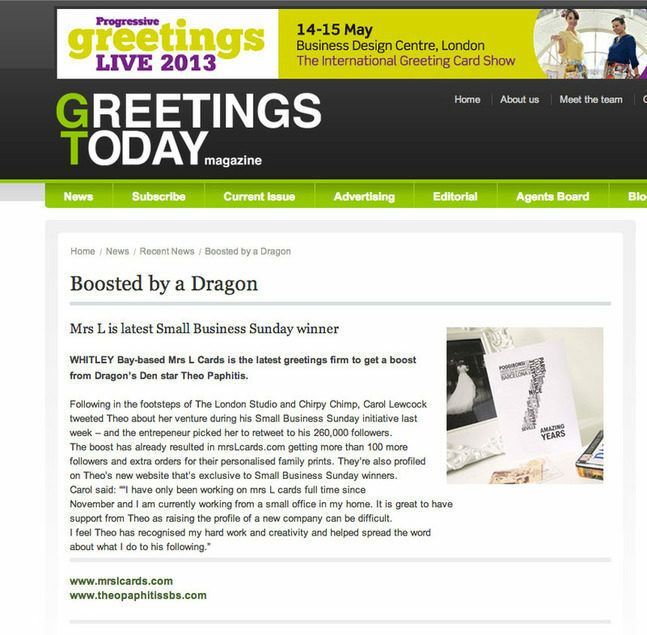 I also have access to lots of great business advice via the #SBS website plus a little bit of kudos!